Physical activity is one of the most important cornerstones to lasting health and wellness. Don’t fall into the trap of believing that working out is boring or repetitive – there are so many different types of workouts you can enjoy! Pilates, for example, offers incredible benefits without forcing you to overexert yourself. 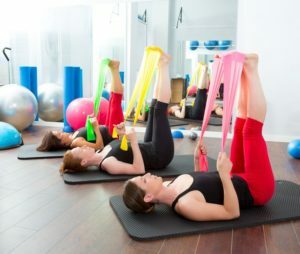 After browsing through the following top three perks of Pilates, you may be tempted to try it for yourself. A German man named Joseph Pilates developed the practice of Pilates in his quest to become a bodybuilder. He blended his experiences with everything from yoga to martial arts to create a Pilates method that improved body strength, flexibility, and muscle tone. Today, Pilates uses a series of 500 exercises that are inspired by calisthenics, yoga, and ballet. Each exercise has its own placement, rhythm, and breathing pattern, so it’s a purposeful and controlled type of workout. By emphasizing stretching and lengthening the body instead of bulking it up, Pilates is an excellent component of any ongoing fitness regimen. Unlike other forms of exercise, pilates never burns your muscles out or works you to the point of exhaustion. Instead, the gentle and purposeful movements in each Pilates routine help to strengthen and lengthen your body for improved flexibility. Achieving better flexibility isn’t just important for bragging rights; it helps to keep your body strong and stabilized. As you get older, basic tasks like reaching to higher shelves and carrying groceries won’t feel so challenging. Pilates isn’t designed to bulk up your muscles, but it’s careful movements do help tone and tighten your body. Each 45 to 90 minute workout consists of a variety of exercise sequences that are performed in small repetitions. Most movements are completed five to ten times. It might not feel like much in the moment, but the cumulative effect leads to a more toned body! The benefits of Pilates aren’t just physical. Its slow movements and purposeful breathing can help you eliminate stress and become more focused. Since yoga is a large influence in Pilates, many people find that both forms of exercise offer important mental health benefits. 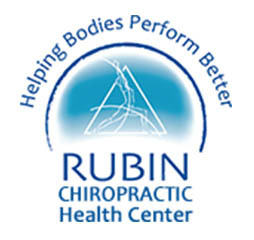 If you want to explore more benefits of Pilates and other strategies to improve your health, call (727) 351-8304 to schedule an appointment at Rubic Chiropractic Health Center in St. Petersburg, Florida. Breech Baby? The Webster Technique Can Help!